The contest ends at 5pm EST on Friday, October 2nd, so we still have time! 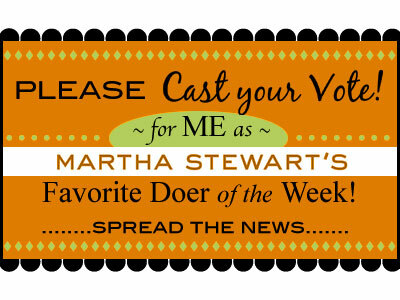 You can simply vote directly here from my blog by clicking my name and voting from the right column, or hop on over to Martha Stewart's website & cast your VOTE! (See her POLL in the right column) I really appreciate your help in spreading the word!